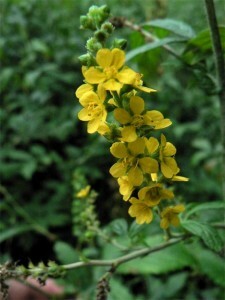 Additional Info: Since agrimony was discovered for its healing abilities it has been used for a long time. The plant was almost a universal remedy for all diseases. In Greece agrimony was popular as a treatment for eye diseases. Infusion made of agrimony was applied to help treat liver, gallbladder and kidney dysfunction, as well as to cure diarrhea. Different wounds were aided by its application. Used for: The remedy is known to produce an anti-inflammatory effect, act as an anti-bacterial medicine, and as an astringent. Applied to boost metabolism, and heal various types of digestive system disorders, like diarrhea. Also used as a diuretic.